To do a 12 week fat loss program or not? My Knee Has Become Pain Free & Finally Arthritis Pain Relief! 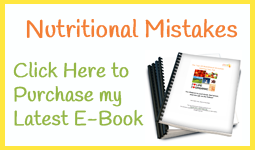 ‘Everyday Nutritional Mistakes Making You Fat’ e-book now Published online!